Upon using the looking-for-group tool, the first thing that confused me was the fact i could also queue as a damage dealer- i know you’re able to switch specs when entering a dungeon, but surely this isn’t for low-level characters? Or is it that i can queue for damage while being in a healing-spec? If it’s the latter, i guess the party members wouldn’t be too happy about that. Why do this dungeon? 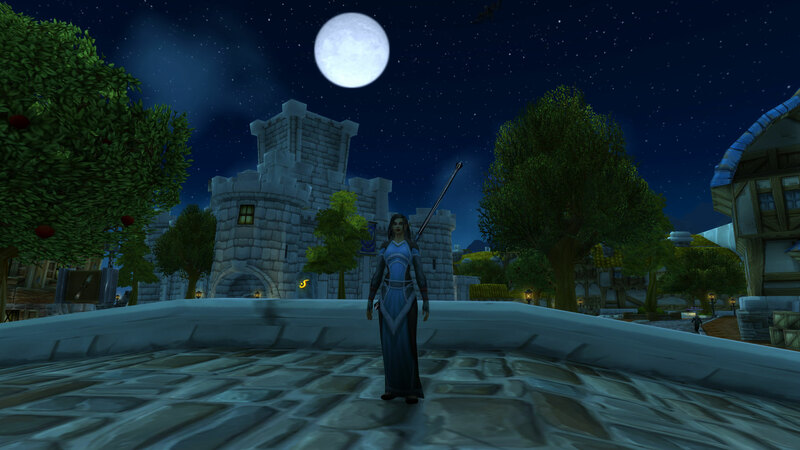 It’s the one dungeon of which i have strong memories running it in pre-BC WoW- i ran it often, despite playing only one character- which is in and of itself interesting- in WoW 2016, running a dungeon once can seriously alter your questing route. It was difficult, it took a long time and more often than not a few wipes. Back then, someone leaving a group was rarely seen, as it wasn’t that easy to find another one. Forming a dungeon party could take 20-30 minutes, especially if it was a tank that was missing. The world entrance – where we’d look for more party members back in the day. There’s another dungeon i have strong memories of- Gnomeregan. But i swear, the moment i hear those sound effects again will be the moment i cancel my sub. 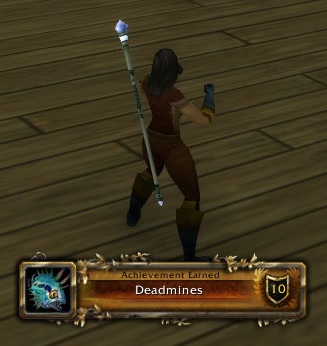 Anyway, into the Deadmines i went. 20 minutes later, i was outside, had gained a level and my main feeling was one of disappointment. It’s not just that it’s a quick affair, it’s also laughably easy. The most difficult thing to handle for me were the other players. There’s a pattern for me with LFG groups. I port into the dungeon, take a quick look around, type “hello” into the chat window, look up and…..wonder where my party members are as they’ve already run off. There was that one time in SWTOR where i couldn’t find back to the others. When i thought i had found a way, i fell into death. They didn’t give me the time to try another time as they voted me out of the group. Something similar happened yesterday. In i went, “hello” i typed, i looked who was playing the role of tank and when i was ready about 10 seconds after entering the dungeon, nobody was there and i saw the health bar of the tank getting lower. Of course i panicked and frantically tried to catch up with my party- entirely needless, as the dungeon is about as dangerous as a Yorkshire terrier with a cold. At some point, i have to figure out why she’s fist-fighting. Not once did the healthbar of the tank drop below 60% or something, the other party members didn’t take damage despite pulling a few mobs. The mobs were down so fast i don’t even know if they were of the “elite” kind. The bosses went down quicker than trash mobs way back when. OK, so now one could say that this is one of the first dungeons in the game and the difficulty level also equalizes possible toxic behaviour from the community, which would all be valid points. But in these 20 minutes? We defeated trash mobs and six (!!!) boss mobs. That’s a boss every three minutes…talk about inflation. They didn’t feel bossy. Five minutes in, i began feeling guilty for not dealing damage as well as healing, so i started carefully. Anyhow, now that i’ve seen that, i can send my Priestess back to questing while possibly, maybe running a random dungeon from time to time. They’re still a bit of fun, although it’s difficult to experience that fun in this frantic speed.